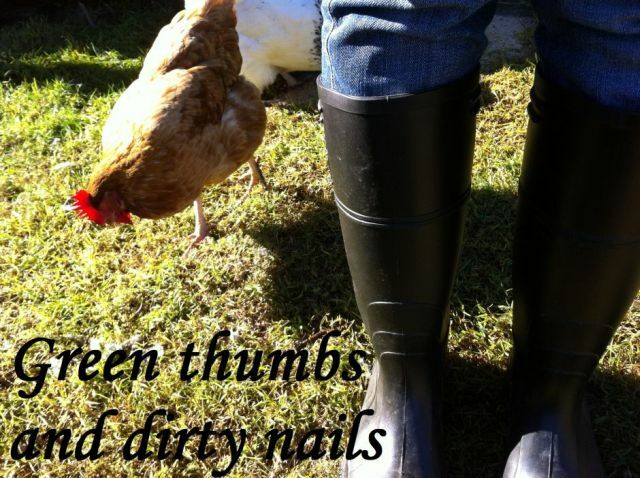 Green thumbs and dirty nails...: Nature can also be unkind. Nature can also be unkind. I have had this post saved for almost a week, and it was to be focused on our duckling we named Chippenham, or Chippy for short. His nasty run-in with one of the chickens three days after hatching left him missing half of his top beak. When I discovered his injury I cried and took Chippy inside. Nursing him on my bathroom floor the duckling and I Skyped my father in law (a retired agriculture teacher) who assessed Chippy's injury and gently explained to me the little ducklings prognosis. He explained that it was unlikely Chippy would survive given the nature of the injury. We talked about the likely hood of him starving to death, and what method I could use to kill the duckling in the most humane way. Neither Jamie nor I could bring ourselves to complete the task, even though we knew that starving to death would be a horrible way for this little one to die. We gave it back to its mother and allowed nature to take its course. Nature was kind to Chippy. He has grown at exactly the same rate as his brothers and sisters, is able to drink and eat, swim and clean himself. Nature was indeed kind to him. But today, nature was not kind to three others. Jamie arrived home from work to discover three ducklings unaccounted for. Cambridge was swimming in the shell pool with four of her brood, but he couldn't find the other three anywhere. Sadly, they were finally found at the bottom of the pond in Oxford's pen. We believe they got into the pond somehow and he has drowned them. We have seen him displaying aggressive behaviours towards the others previously so we assume it was him that drowned them. Jamie buried them in the garden. Nature was not so kind today. * Chippy is named after the English town of Chippenham, in Wiltshire, from where my maternal family originate. Hoping Chippy continues to thrive. Sorry to hear about the loss of your 3 ducklings. Hi Sam, I'm so sorry to ear about your loss. It is very sad. I hope Chippy keeps on thriving and he/she and Yorkshire both become lovely big healthy duckies who eat all your slugs and leave your nasturtiums alone!